Drs. 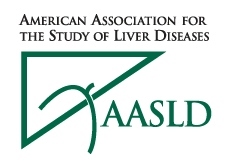 Yoneda and Hyun will present their work at the 2015 Liver Meeting (AASLD) in San Francisco. Miami CTSI Awards Career Development Grant to Dr. Thomas. 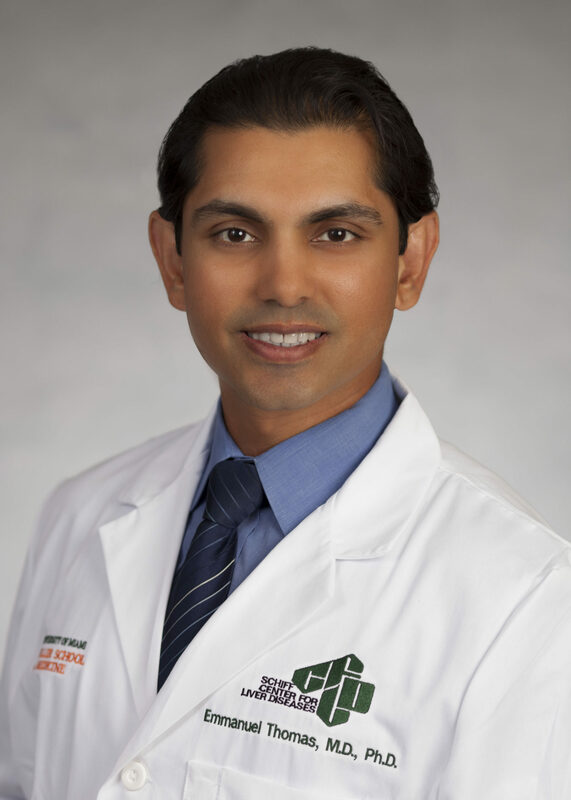 The Miami Clinical and Translational Science Institute (CTSI) at the University of Miami has selected Emmanuel Thomas, M.D., Ph.D., assistant professor of cell biology, to be its newest Mentored Translational Research Scholar. This KL2 program helps junior faculty develop successful careers as independent investigators by providing up to three years of renewable annual funds including 75 percent salary support for protected research time and additional funds to support research expenses and research-related travel. Thomas will also benefit from an individualized career development plan, mentorship, educational programs, experiential training with established faculty researchers, and access to CTSI experts in epidemiology, research design, regulatory support, ethics and biostatistics. To facilitate this innovative project on HIV pathogenesis, mentorship will be provided by Savita Pahwa, M.D., professor of microbiology and immunology, pediatrics and medicine, Director of the Miami Center for AIDS Research (CFAR) and Associate Director of the HIV/AIDS Institute, and Mario Stevenson, Ph.D., professor of medicine, Chief of the Division of Infectious Diseases in the Department of Medicine, Co-Director of the Center for AIDS Research and Director of the HIV/AIDS Institute. Thomas will use his grant to study ways to minimize the development and progression of liver disease and liver cancer in patients that are coinfected with both HIV and Hepatitis C.
Raised in Miami-Dade County and a 2007 graduate of the Miller School of Medicine, Thomas has a strong commitment to improving the health of the local community. He says his award and the opportunity to collaborate with the CTSI will help advance two programs that are important to him. The first is a translational research program, which aims at preventing liver disease and hepatocellular carcinoma. It leverages resources and clinical/scientific expertise from the Miami CTSI, the Schiff Center for Liver Diseases, the Sylvester Comprehensive Cancer Center and the Miami Center for AIDS Research. The second is a community screening program that identifies Hepatitis C infected individuals and links them to care. It also pairs uninsured patients with assistance programs that subsidize the cost of medications. The Mentored Translational Research Scholars program is managed by the Miami CTSI’s Research Education and Career Development program and directed by Gwendolyn Scott, M.D., professor of pediatrics and Director of the Division of Pediatric Infectious Disease and Immunology. Hepatocellular Carcinoma, Viral Hepatitis, HCV, HBV, Liver Cancer, Cirrhosis.